The Long Stay Visa Non-Immigrant O-X was approved in November 2016. It allows nationals from several countries to stay in Thailand for a period of maximum 10 years. The Non-Immigrant Visa O-X has a five years validity and can be extended for another period of five years. Nationals from the following countries benefit from this Visa: Japan, Australia, Denmark, Finland, France, Germany, Italy, Netherlands, Norway, Sweden, Switzerland, UK, Canada and USA. Applicants may apply from abroad at the Royal Thai Embassy or at the Immigration Bureau Chaeng-Wattana in Thailand; the visa fee is THB 10,000. There are certain qualifications and requirements that applicants need to fulfil: a minimum age of 50 years, hold the relevant passport and nationality, a deposit of THB 3 million in a Thai bank located in Thailand for the first year and THB 1.5 million for the following year. This money can only be spent in Thailand. The applicants are obliged to have a Thai medical insurance during their stay in Thailand. Once the applicants have received the Non-Immigrant O-X visa status they can work as volunteers as stipulated in the list of volunteer work by the Department of Employment, purchase vehicles and condominiums. However, this visa type does not qualify the holder to apply for a work permit, this would require an additional non-immigrant visa. 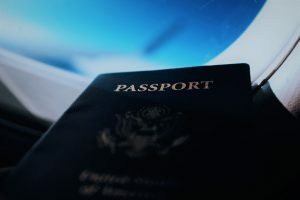 The Non-Immigrant O-X visa status may be revoked if the visa holders cannot provide evidence of the required qualifications as outlined above and/or if they pose a threat to peace and security of Thailand and/or work without permission during their stay in Thailand.